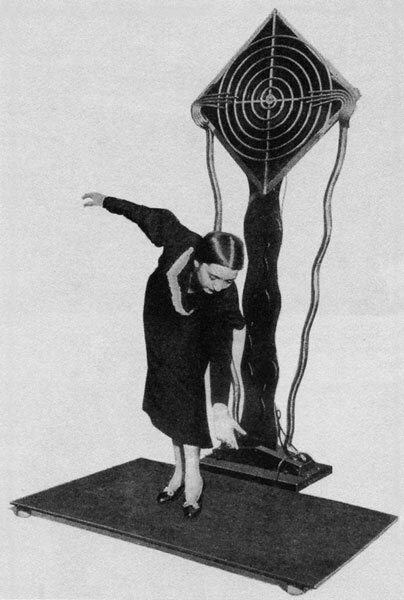 The ‘Keyboard Theremin’ Leon Termen, USA, 1930. 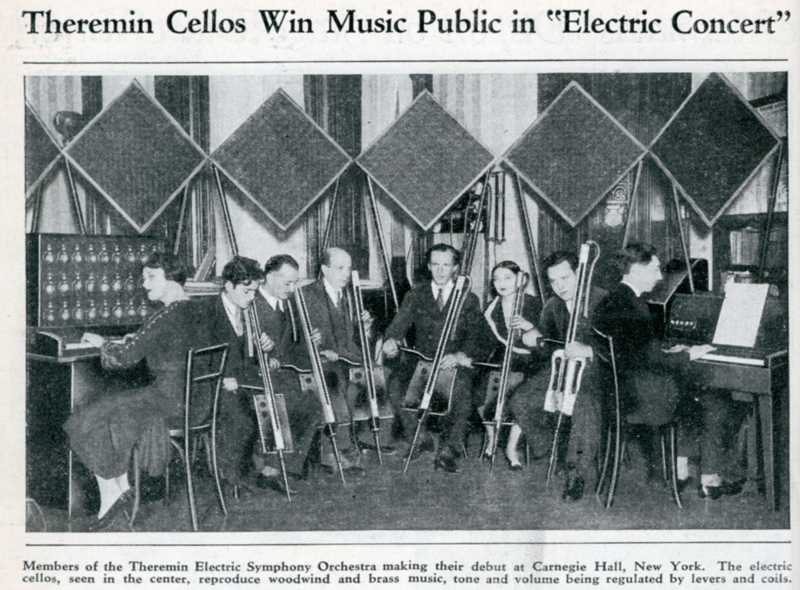 The ‘Theremin Electric Symphony Orchestra’ c1932. 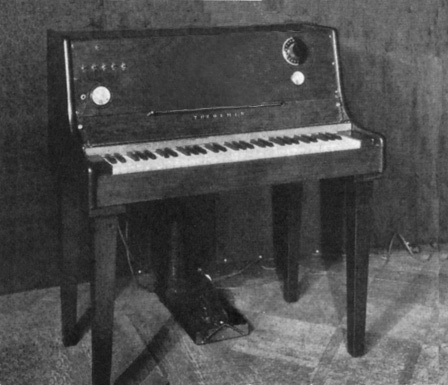 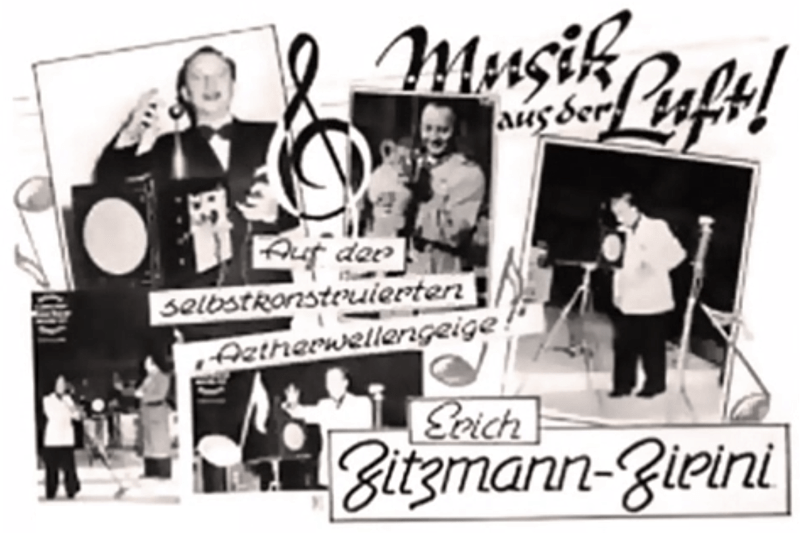 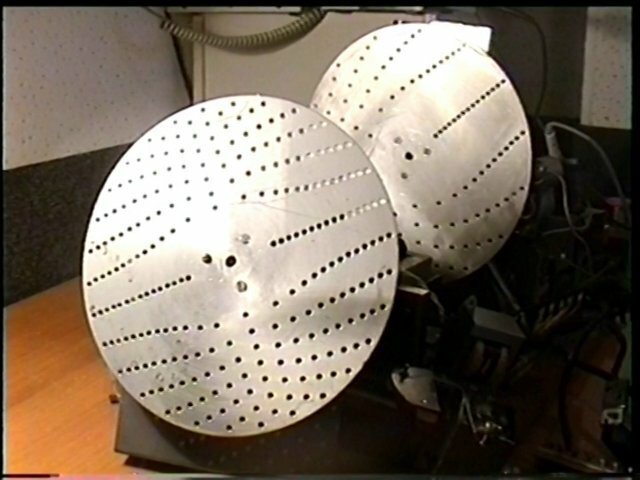 The Keyboard Theremin is on the right with a Theremin Harmonium on the left and several Theremin Cellos in the centre. 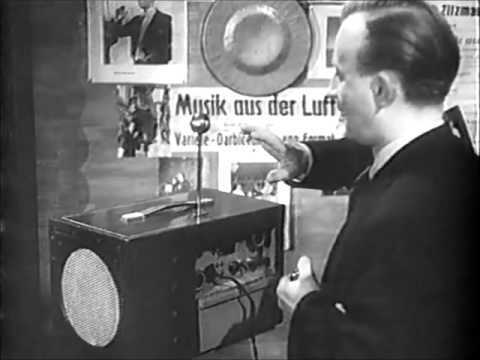 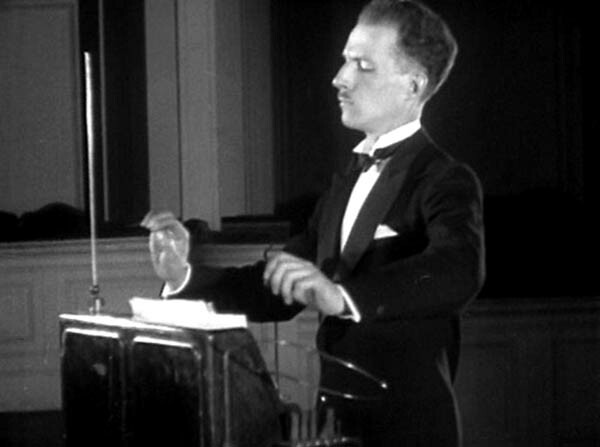 The Theremin Keyboard was premiered at a concert at the Carnegie Hall in 1932 by the ‘Theremin Electrical Symphony Orchestra’; a ten player ensemble (Termen originally wanted forty musicians) all playing fingerboard and keyboard theremins, each instrument tuned to take the part of an orchestral instrument and performing a ‘conventional’ classical repertoire including J.S.Bach’s ‘Fantasia in G’ and ‘Ave Maria’. 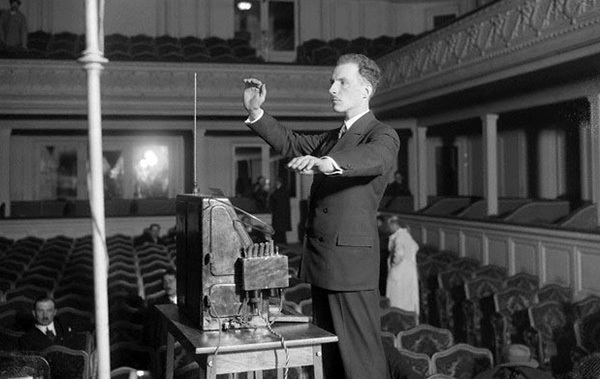 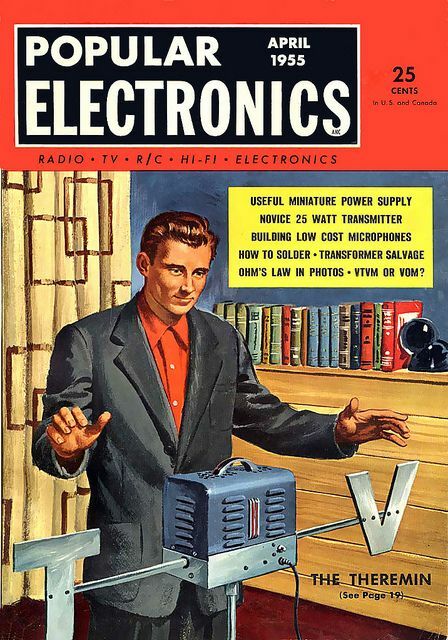 Impressed by it’s range and portability, the composer Leopold Stokowski used the Keyboard Theremin at orchestral concerts in Philadelphia, New York and Washington. 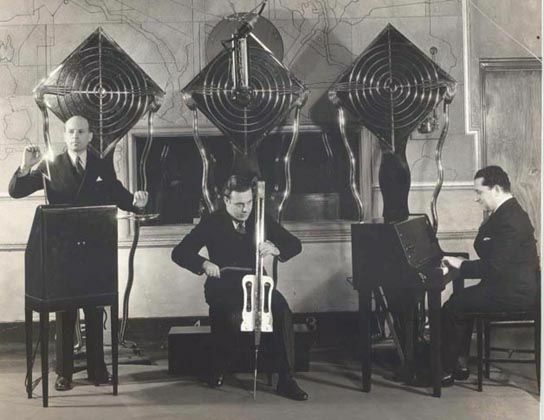 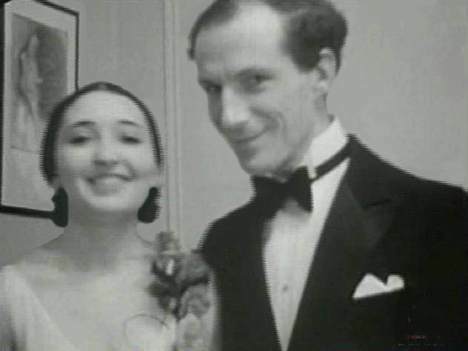 2 Comments on The ‘Keyboard Theremin’ Leon Termen, USA, 1930.